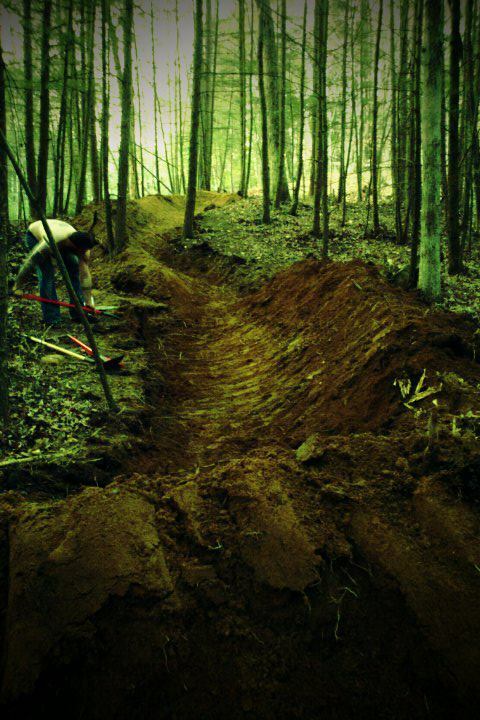 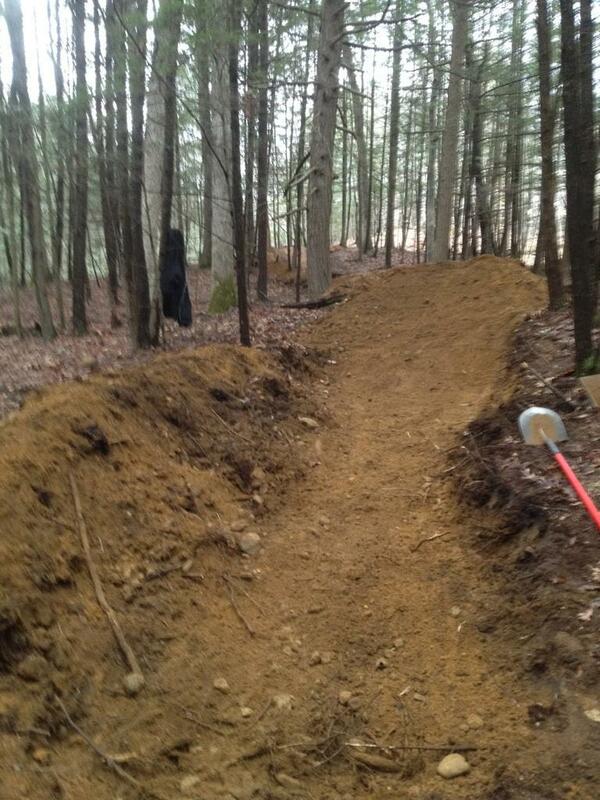 Steve found a new trails spot and has been slinging some serious dirt. 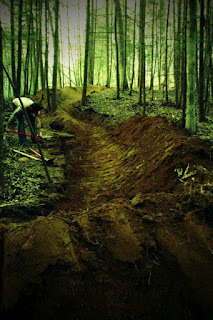 I got down there the other day to lend a hand and the place is coming along nicely. 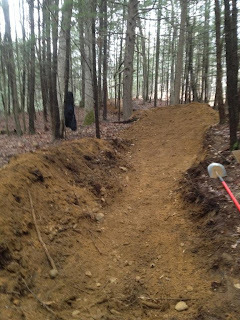 We've dubbed the spot "Squatchville", as it's in some dense pine forest, there is a ton of wildlife, and we're always hearing crazy woodland noises!